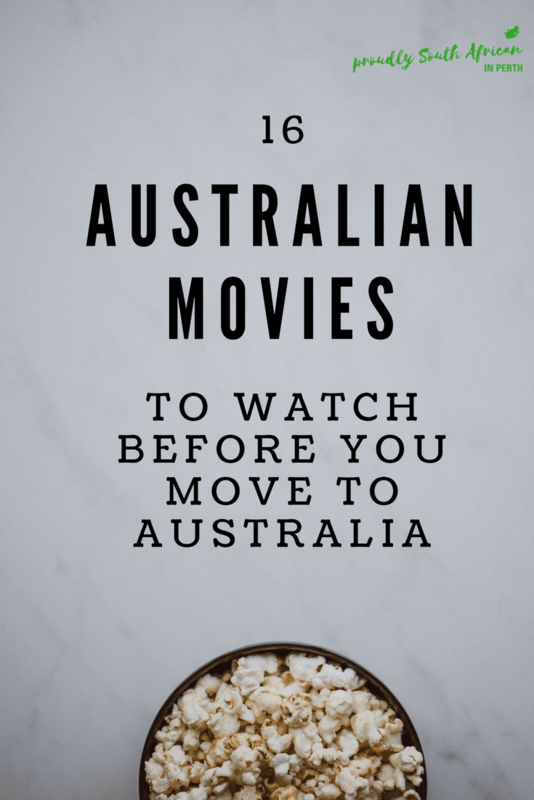 If you’re anything like me, in the lead up to moving to Australia I soaked up as many Australian movies and TV shows as I could. 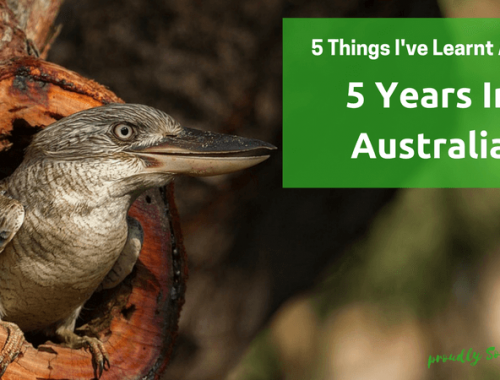 From Border Patrol to Masterchef Australia and Wanted Down Under, I couldn’t get enough of where we were moving to. 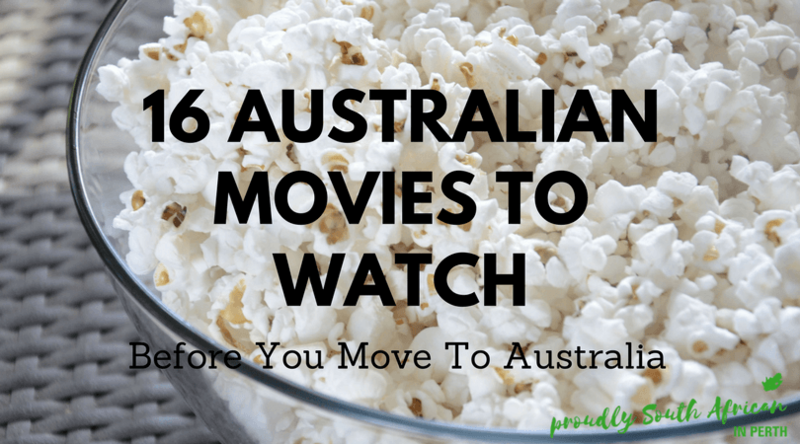 There are so many awesome Australian movies, so I’ve put together an ultimate list of 16 Australian movies to watch before you move to Australia. Set around World War II, this movie was filmed in Sydney, Bowen, Darwin and Kununurra. Starring Nicole Kidman and Hugh Jackman, it really is the ultimate Australian movie and gives you an all-round sense of the landscape, the history and the people. With a stellar cast including the late Heath Ledger, Orlando Bloom, Naomi Watts and Geoffrey Rush, this biopic tells the story of the most famous outlaw in Australian history. Loosely based on true events, The Dish was the highest grossing film of 2000 in Australia. It’s set during the moon landings and the role played by the Parkes Observatory in NSW in relaying live pictures of the first men to walk on the moon to the rest of the world. Starring Toni Collette, this quintessentially Australian comedy-drama centres around Muriel, a socially-awkward woman who longs to fly the nest and live out her dream life in the bright Sydney lights. However, being an Australian movie, things don’t turn out quite the way she planned. Based on a real life criminal family from Melbourne, Animal Kingdom earned Aussie icon Jackie Weaver an Oscar nomination for Best Supporting Actress. Not the easiest watch, but interesting nonetheless. This portrait of an average Australian street in the 1970s is frankly hilarious. With Guy Pearce, Julian MacMahon and the institution that is Kylie Minogue, it’s sure to make you laugh. Set in 1931, Rabbit-Proof Fence tells the true story of 2 young girls who were taken from their families and placed in a native settlement in Moore River north of Perth. These resettlement and education camps targeted ‘half-caste’ children, with one white and one Aboriginal parent. The 2 girls decide to run away from the camp and return to their parents over 1000 miles away. This is a shameful piece of Australian history and is not to be missed. If revenge-comedy-dramas are more your thing, then you’ll love The Dressmaker. Filmed around Melbourne and the countryside of Victoria, it’s a great, unassuming film that with stay with you. And Kate Winslet puts on a pretty good Aussie accent. This award-winning movie is centred on the story of Saroo, an Indian boy who becomes lost and separated from his family in India, and is subsequently adopted by an Australian family in Tasmania. As an adult, he decides to track his family down – be warned, you’ll need heaps of tissues for this one! Shot in South Australia and the Northern Territory, this true story is based on the journey undertaken by Robyn Davidson from Alice Springs to the west coast of Australia. She covered 1700 miles accompanied by 4 camels and the journey was documented by a National Geographic photographer she had met before she set off. Another Australian classic with a cast of epic proportions – Hugo Weaving, Guy Pearce and Terence Stamp. Another comedy-drama, which the Aussies do so well, and filmed across the Australian outback. Set in Western Australia but filmed in South Australia, starring Mel Gibson, Gallipoli is a classic Australian movie about one of the futile battles of World War I. Based on a true story and the book by one of my favourite authors, Louis De Bernieres, this heart-warming family movie is about a dog who appears in a small town in Western Australia and becomes part of the town, but doesn’t really belong to anyone. Another tear-jerker so have the tissues at the ready. The short novel is also really good and worth a read. Directed and starring Russell Crowe, The Water Diviner is another Australian movie centered around Gallipoli. Russell Crowe plays a dad who loses all 3 sons at the infamous battle and travels to Turkey to find their bodies and bring them home. Yet another Australian movie based on reality, Oranges and Sunshine is based on the book Empty Cradles by Margaret Humphreys. Margaret was a social worker in the UK who discovered the true horrors of the UK’s child migration program to Australia from the 1920s to the 1970s. Children were promised oranges and sunshine, but what they got was something very different. And here is one that I’d recommend NOT watching! A terrifying film about some backpackers who get kidnapped by a psychopath in the Australian outback. Don’t watch it. Just don’t! What Australian movies and TV shows do you love? 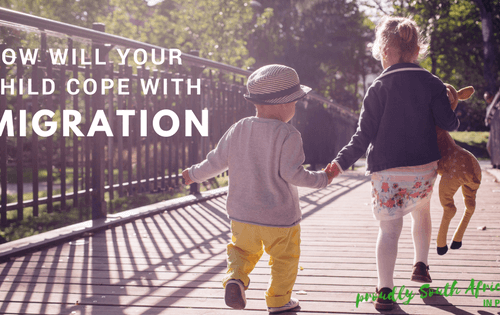 Did you watch any in anticipation of your move to Australia? Let me know in the comments below. **Update** A couple of people have mentioned movies that I haven’t included. First up, The Castle. This movie looks awesome but I haven’t actually seen it myself. Honestly, I’d never even heard of it until I started researching this topic. So I’ve added it to my list to watch! Secondly, Strictly Ballroom. It’s been years since I watched this so maybe it’s time to revisit it. Thanks for all your suggestions so far, it’s great to know what you all think should be on the list! Is “The Castle” not on this list because it’s just too weird for people who didn’t grow up in Australia? Because for me it’s the absolutely quintessential Aussie film! 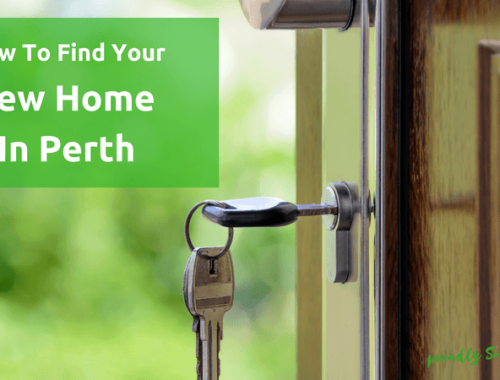 I’ve read about it but not seen it yet – so I’ll definitely look out for it! I wonder if it is on Netflix? You’ve put together a great list but I would have to add Strictly Ballroom and The Castle to this list, two of my favourite Aussie movies.